Think back to the last time you went boating. All of the necessary safety equipment was on board (hopefully). Not to mention, it was a picture-perfect day to be out on the water. But then you remember the one thing that went wrong: you didn’t have any snacks available and everyone on the boat became hangry. A few snacks we’ll recommend need to be kept cold. You don’t have to worry about refrigeration with nuts, though. Just pour a few handfuls of almonds or cashews in a small bag and you’re good to go. Not only are nuts high in protein, but they’re full of healthy fats that will keep you full and satisfied on the water. Packaged snacks are the way to go on a boat, especially in the hot Florida sun. That’s why we recommend loading up on your favorite granola bars. Granola bars, which are often packed with nuts, will give you and your passengers that much-needed afternoon pick-me-up. Just be sure to avoid getting sugary brands. Few things ruin a boating trip quite like a sugar-induced headache. A classic, yet satisfying snack. Whether you make just one or a dozen, PB&J’s will save throughout the day until you’re ready to eat them. There’s no need to worry about the sandwiches going bad in the sun, either. It’s pretty easy to make your own delicious protein bites. Many recipes for energy balls call for ingredients such as dates, nut butter, and cacao powder. 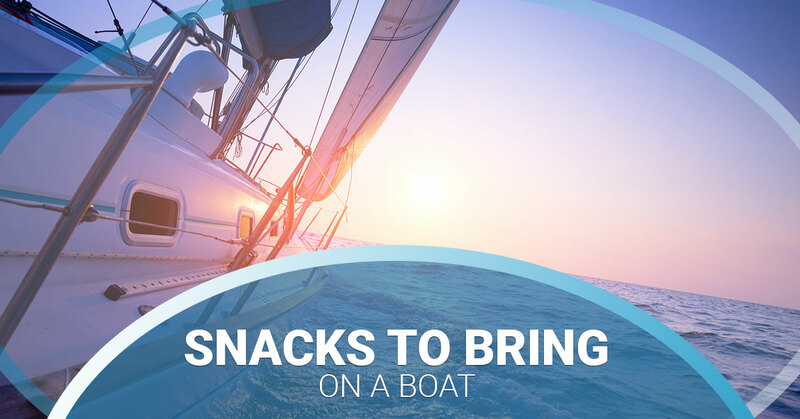 Similar to the aforementioned boating snacks, protein bites are easy to transport. Don’t want to worry about fruit making a mess on the boat? Then you might want to consider dehydrated fruit. This healthy, low-calorie snack is perfect for your next boating outing. Think about the condition of your boat’s flooring for a moment. Is it old and worn-down? Does the cracked and/or slippery surface create a safety hazard? If you answered yes to either of these questions, then it’s probably time to consider updated non-skid decking. Marine Customs is a certified fabricator, installer, and supplier of non-slip boat decking in South Florida. So what makes us different from the other guys? Well, for one thing, we use EVA foam that offers maximum wet/dry traction. That’s not the only reason, though. Many customers use our anti-slip decking products to cover spider cracks and other surface imperfections. There’s also the custom aspect of Marine Customs. We don’t just settle for a “cookie-cutter” or “one-size-fits-all” approach and call it good. Instead, our team provides a totally customized and unique installation for any boat or watercraft, whether that entails logos or any of our other graphic design options. Choose Marine Customs for your next boat decking project.